Coffee has become a necessity in life nowadays. You will find several coffee shops and brands around you. However, there are many people who prefer to have their cup of coffee at home on their cosy couches. For such people, setting up a home coffee bar is the best solution so that they can enjoy a good brew at home. Setting up a coffee bar at your home is not an impossible task to accomplish. You just need some creative coffee bar ideas. Guess what, we have listed some unique coffee station ideas below for your for your convenience, and that can save you money that can save your money. These ideas will keep you on budget and you won’t have to rush to coffee shops every time you get a craving for coffee. 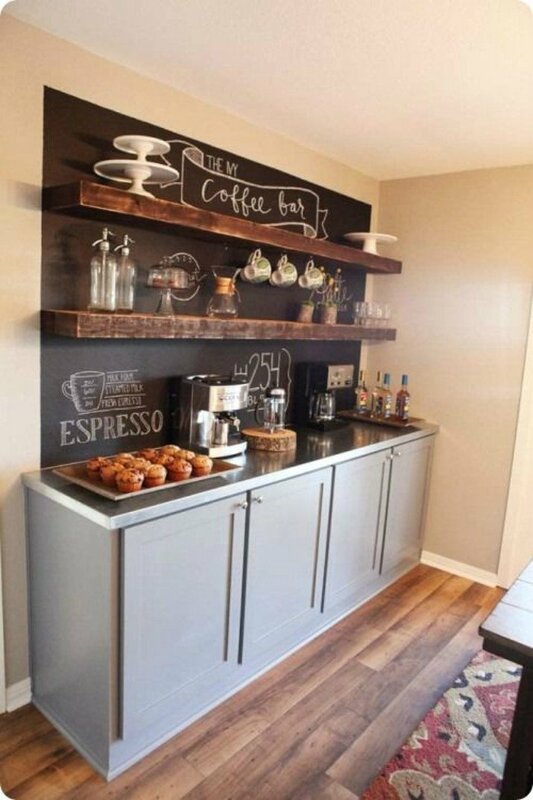 Let’s take a look at these mind-blowing DIY home coffee bar ideas. You can easily make a small coffee corner in your kitchen by fixing a wooden coffee shelf with hanging jars on the wall. 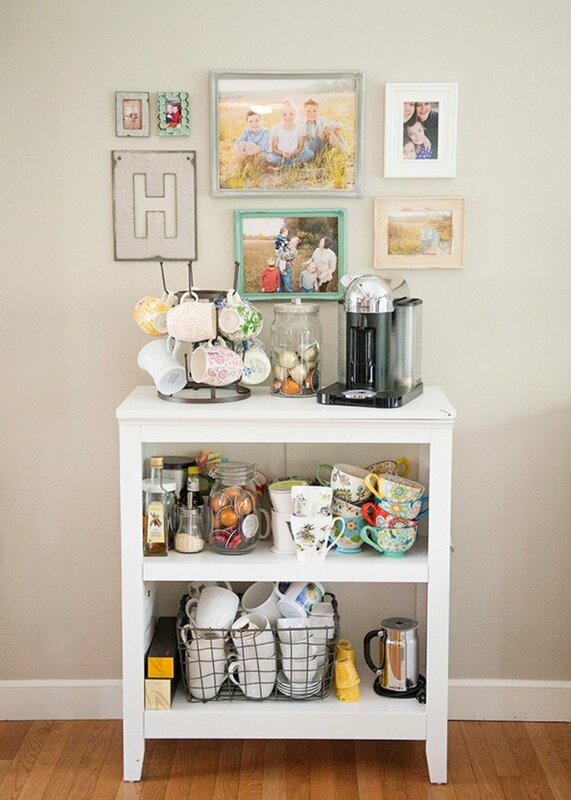 You can keep your coffee mugs on the shelf and ingredients in the jars to set up your coffee bar. It is one of the best coffee station ideas in kitchen to be used. 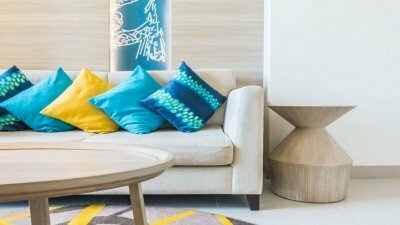 You can place a small wooden coffee table at any suitable corner of your home and keep all your coffee accessories on it. You can easily utilise the space in your house with this easy idea. 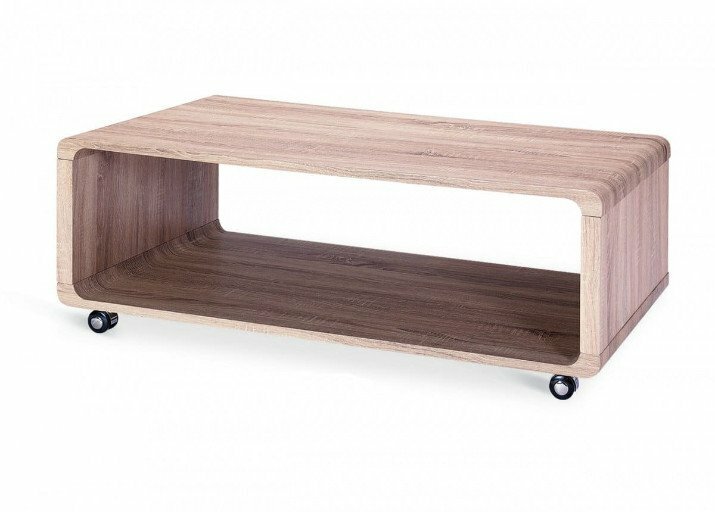 For coffee table selection, you can use Jenison 2 Drawer Coffee Table. It has drawers as well which can be used to store the jars of ingredients. You can use a small wooden box or a reclaimed wood table centrepiece to make a stylish coffee bar at home. A table centrepiece can be placed on the coffee table. Coffee mugs or jars of ingredients can be placed inside the table centrepiece. 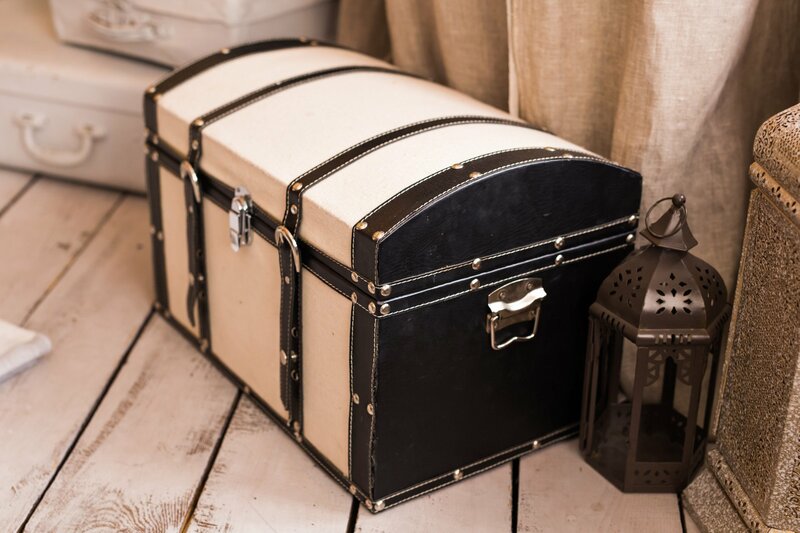 Placing the wooden box in the middle of the coffee table will make your living room beautiful. Nothing is better than making your coffee and sitting near the window to enjoy it while the sun sets. If you have enough space near your living room window, then it is an awesome idea. 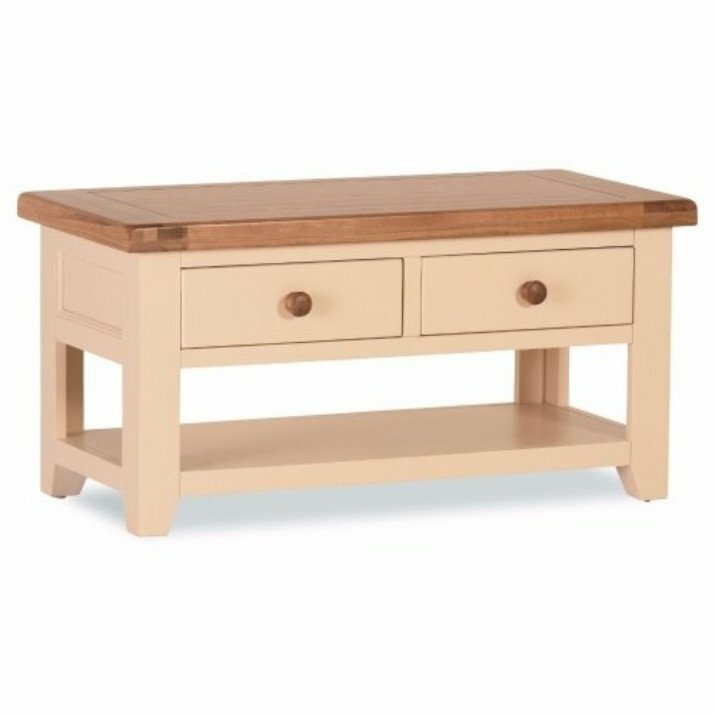 Set up a home coffee bar by placing a table like Linden Coffee Table Natural at the corner of the living room and fill it with all the coffee stuff. 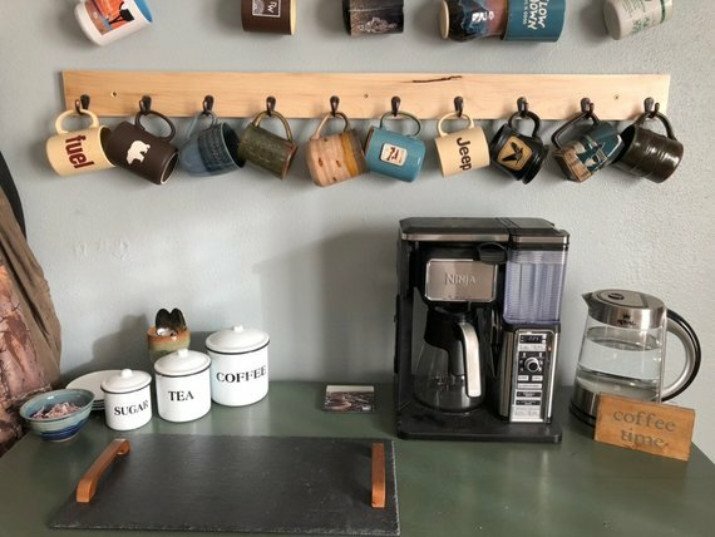 You can buy an affordable coffee rack and fix it on the wall above your kitchen counter. Place the coffee machine and other required stuff on the counter and hang the mugs on coffee rack. Here you go! The perfect home coffee bar is ready. 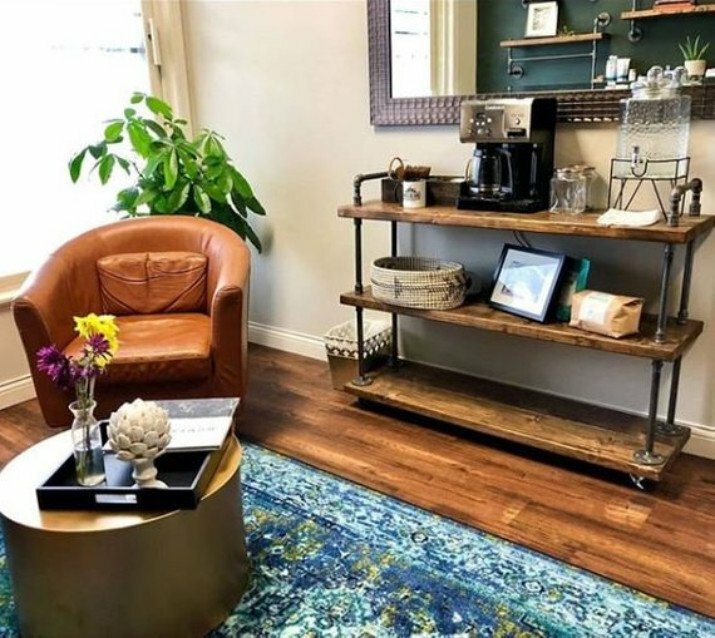 You can give your coffee bar a vintage look by using a vintage style Corona Coffee Table against the wall. 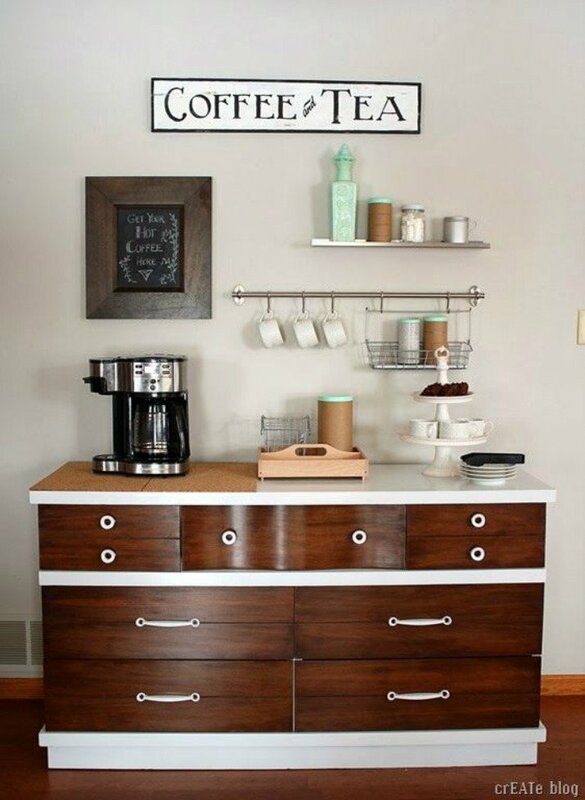 Again, you can select the most suitable corner of the house to set up a vintage style coffee bar. 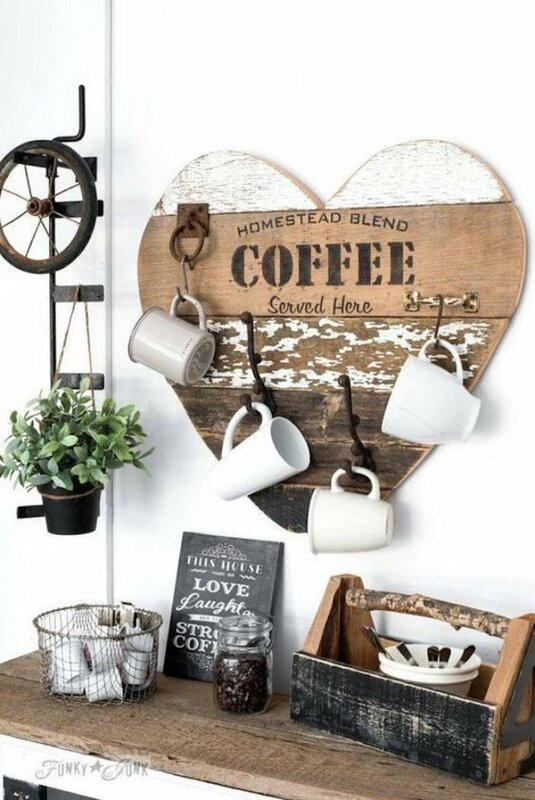 Place all the coffee collectibles neatly on the table and your coffee bar is ready to use. 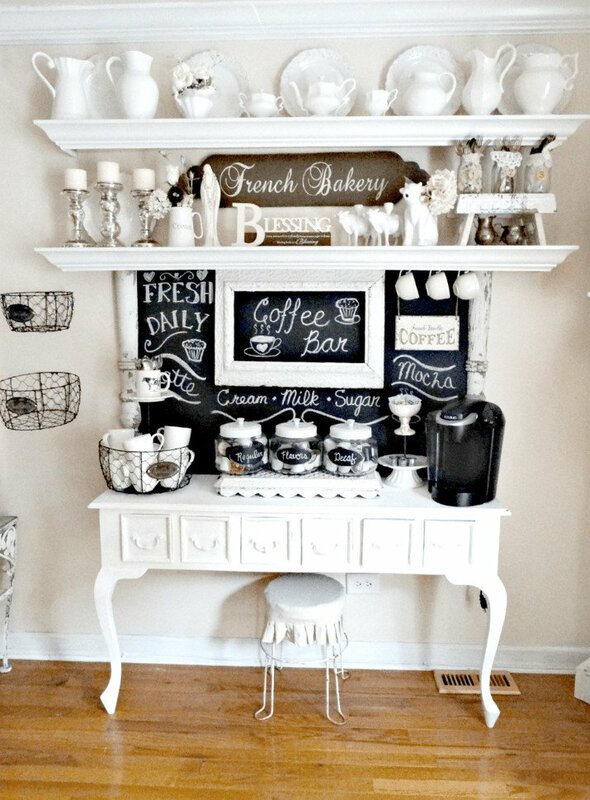 If you want to build your own coffee bar at home that makes a style statement too, then this idea is perfect. 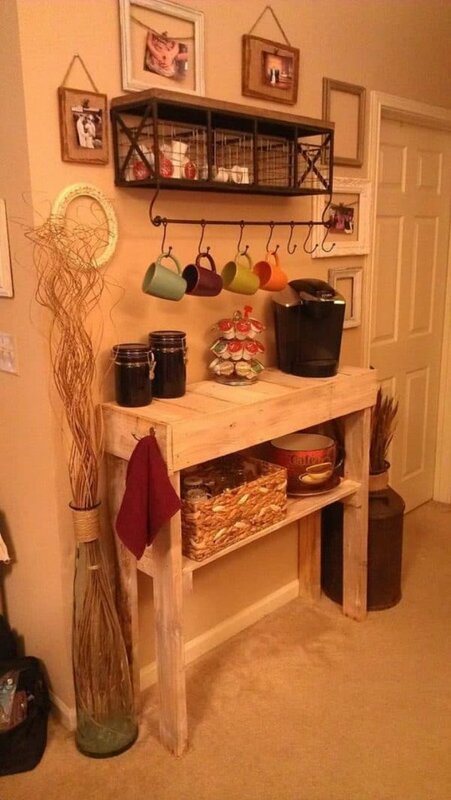 You can use a wooden coffee bar that has a solid top as well. You can decorate it and set it up according to your desire. Combining the wooden table with a wooden chalkboard will look extremely attractive. 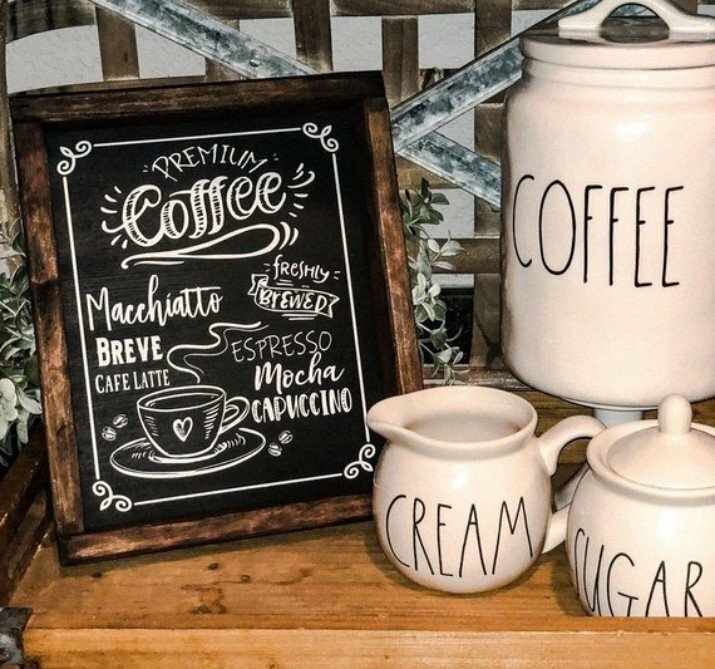 The simplest way to set up a home coffee bar in your kitchen is to place a nicely written chalkboard on the counter (probably at the corner to keep it separate from the other things in kitchen) and set up all the coffee items around that chalkboard. If you want to utilise the cabinets in your house to turn them into a coffee bar, then fix two to three floating shelves on the wall above the cabinets. 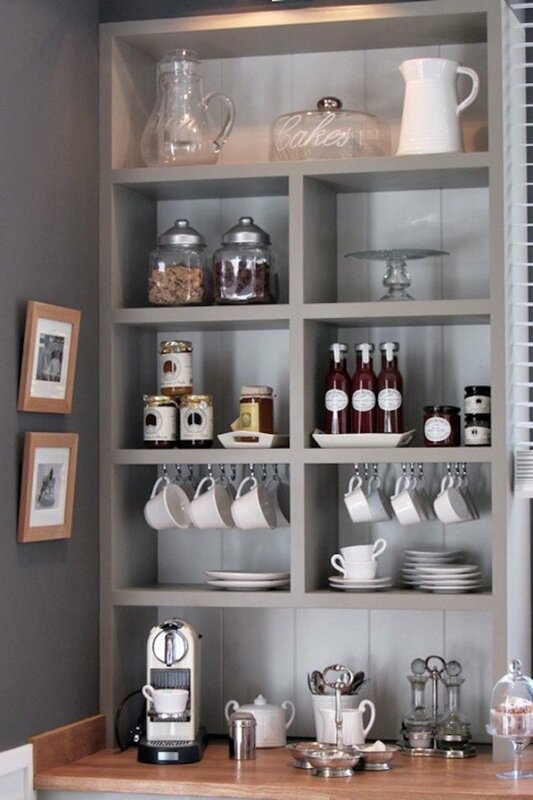 You can fill the shelves with coffee items and decorate the cabinet’s top as per your taste. You can enhance the beauty by keeping stylish crockery on the shelves. Almost everybody has a cart in their home. You can utilise it effectively by converting it into a mobile coffee bar. Place all the necessary stuff on the cart and place it against a wall. Moreover, you can decorate the wall just like you want with chalkboards, pictures or anything you like. If you want to build a coffee bar that’s all showy and trendy, then take some inspiration from the French style. You can use some hanging baskets, fancy crockery and decoration pieces. You can also choose the colour scheme according to your own desire. 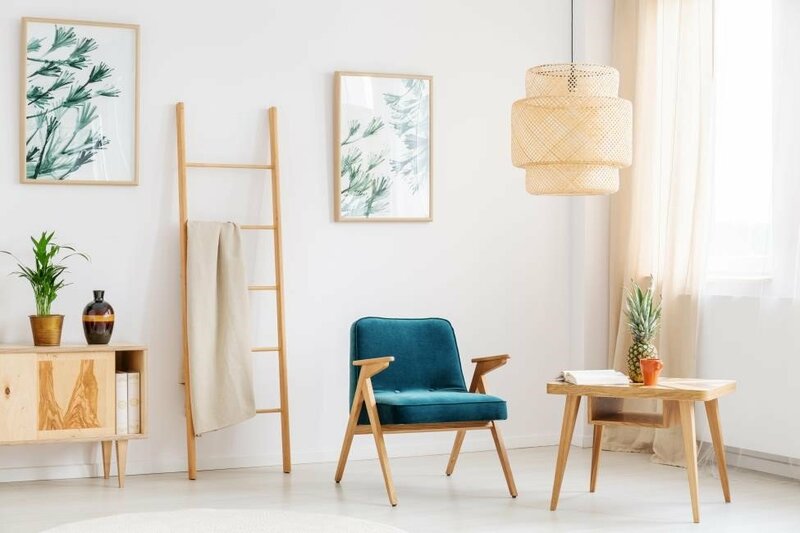 It is all about smartly using the furniture and shelves in your house. Other than that, creating a home coffee station is not a big deal at all. Covert the shelving unit in your house into a coffee station by adding the coffee equipment, mugs and decorations in the units. 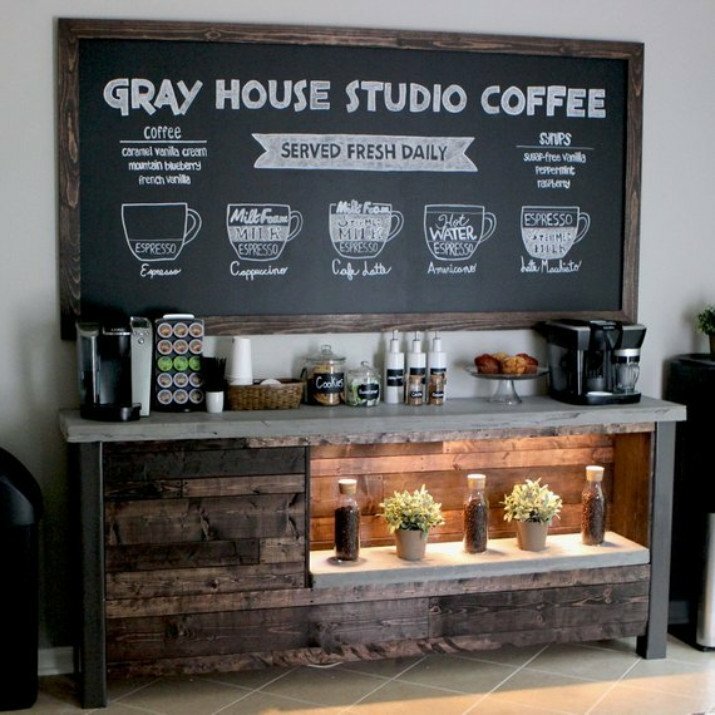 It is one of the most unique ideas of making a coffee station at home. Use your closet intelligently. 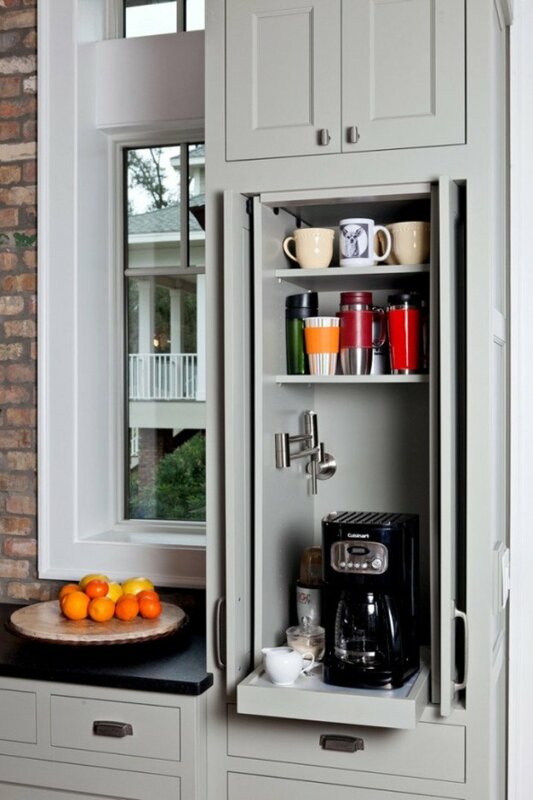 With just few additions you can turn your closet in to a coffee bar. A Coffee machine can be placed in the section that has plenty of space. Jars of ingredients and mugs can be placed in the inner racks or shelves above the machine. By just pulling a door, you will find your happiness in shape of your personal coffee bar. If you have a worn-out bookshelf in your attic, you can blow life into in with just few changes. You just need to paint it and place it against the wall. 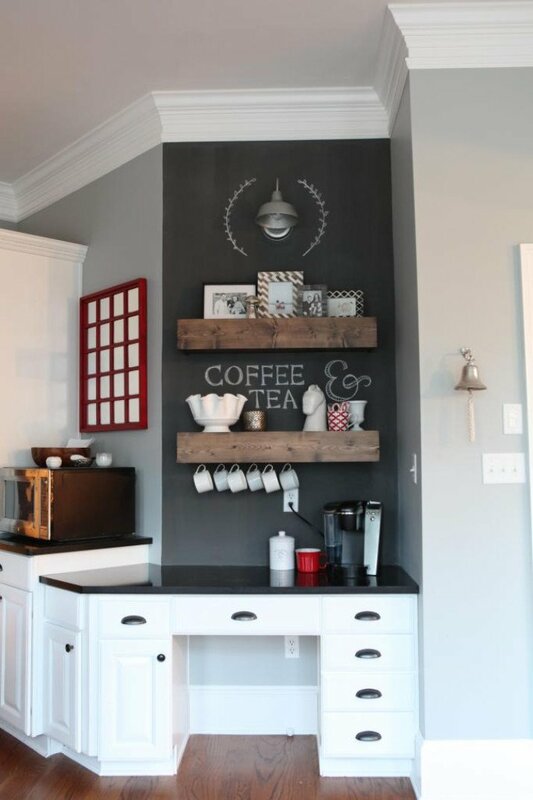 Place the coffee machine and the mug hanger on the top of the shelf and have a coffee station of your own. Jars of ingredients can be placed on the lower racks. 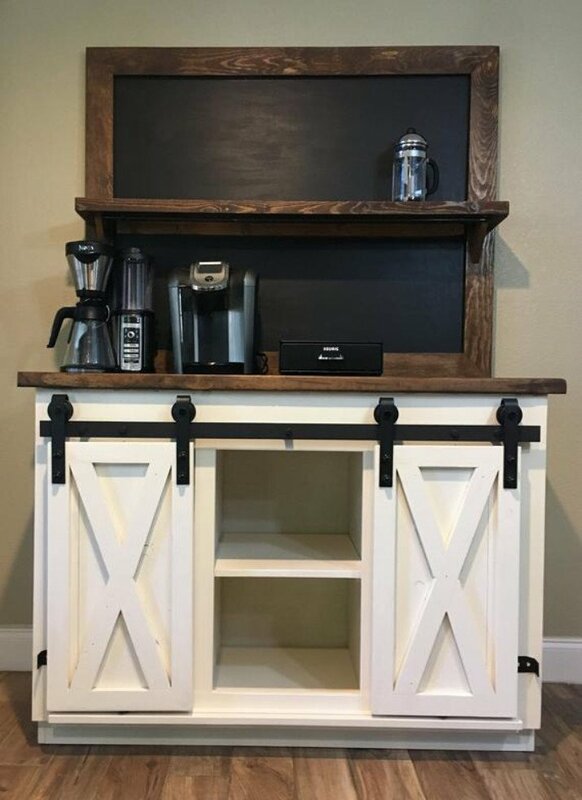 Another elegant way of creating a coffee station at home is to incorporate a farmhouse style in your furniture. A wooden cabinet storage with sliding barn doors can be a top-class choice to give a unique look to your coffee bar. There is plenty of storage space in such cabinets which you need to utilise. However, you can modify it further by fixing a chalkboard at the top. Chester display cabinets are back in fashion. If you have a Chester in your house, you can easily use it for a coffee station. Its wooden texture gives a sophisticated look especially if you have a wooden floor. Occupy all of the space on the Chester and create a coffee bar of your own. 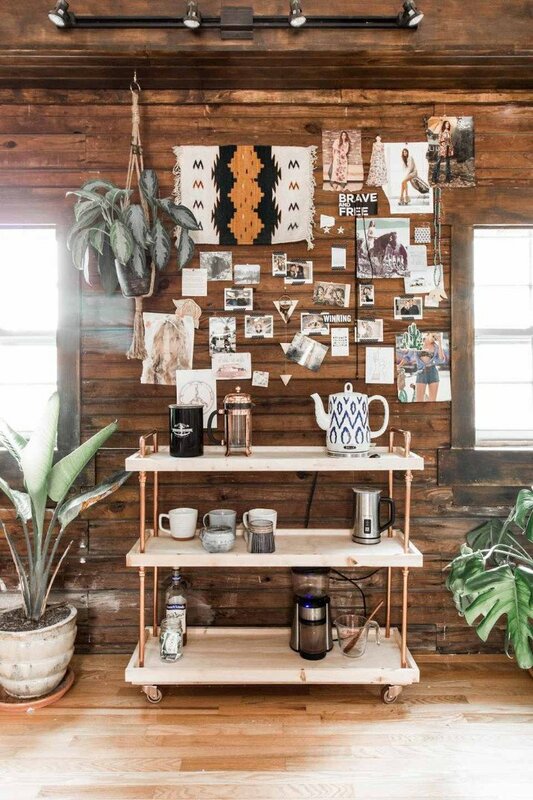 The best idea to fill an empty corner of the house is to set up a coffee bar there. You can use that empty space in a more creative way, if you have a wooden table with a concrete top. You have two options. Either set up all the equipment on the table or use some shelves on top of it. Shelves will make your corner look neat and well-organised. Moreover, you can decorate your coffee bar according to your taste. People who love bright colours can build their home coffee bar by incorporating all the vibrant colours of their choice. It will add up to the beauty of your house and your guests will surely appreciate your creativity. Choose your colour scheme, use a cabinet or a table with drawers and set it up with coffee collectables. 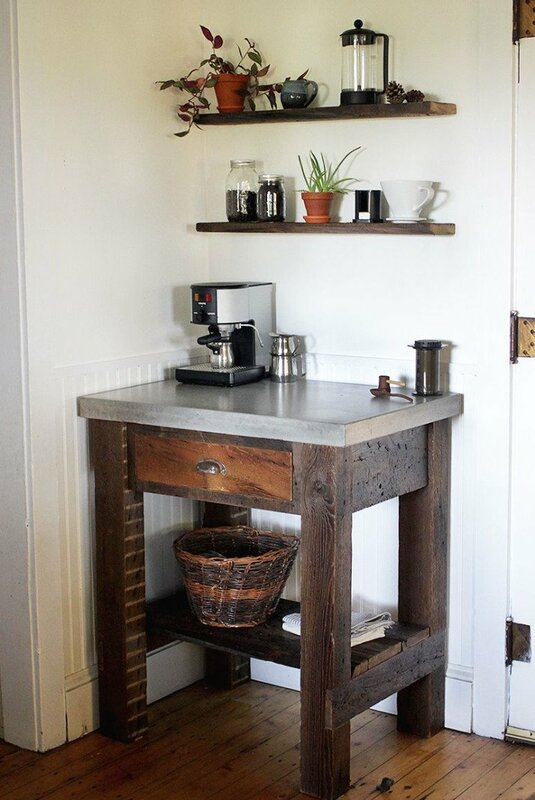 Another wonderful coffee station idea is to mix up both wood and iron. 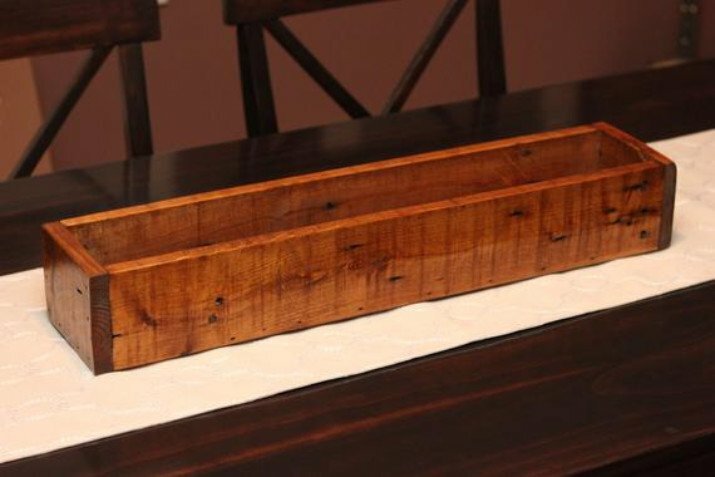 If you have an unused wooden table, you can team it up with an iron shelf. You can hang your mugs on the hooks of the shelf and ingredients can be placed on it. While the coffee machine and other necessary items can be placed on the table. The combination of wood and iron gives a pleasant look to the living room. Do you love enjoying your coffee while watching TV or reading a book? You want to build your coffee station in the same lounge, so you don’t have to go out for a coffee? Then this idea is perfect for you. Keep a rolling cart at the side of your favourite sofa. Whenever you feel like having a cup of coffee, slide the cart, make your coffee and enjoy it. If you love playing with the wood and have strong carpentry skills, then you would surely love this idea. You can re-use old wooden planks and join them to form beautiful shapes. 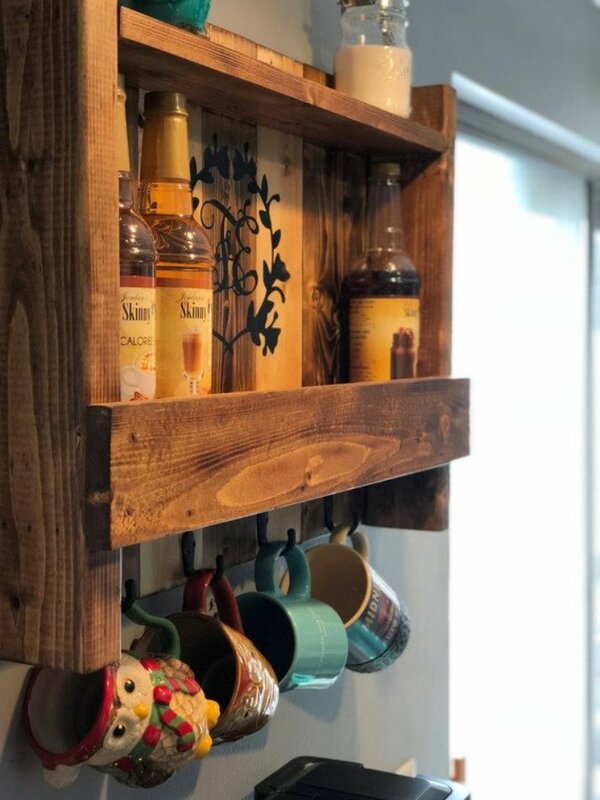 Fix some hooks on the plank and use them to hang mugs. You can carve some text on the plank which enhances its beauty as well. Additionally, you can use a coffee table underneath to keep other coffee related items. Big fan of Scandinavian style coffee bars? You can set up one at your own home as well. A small space at the corner of your kitchen counter is enough to build a home coffee bar. 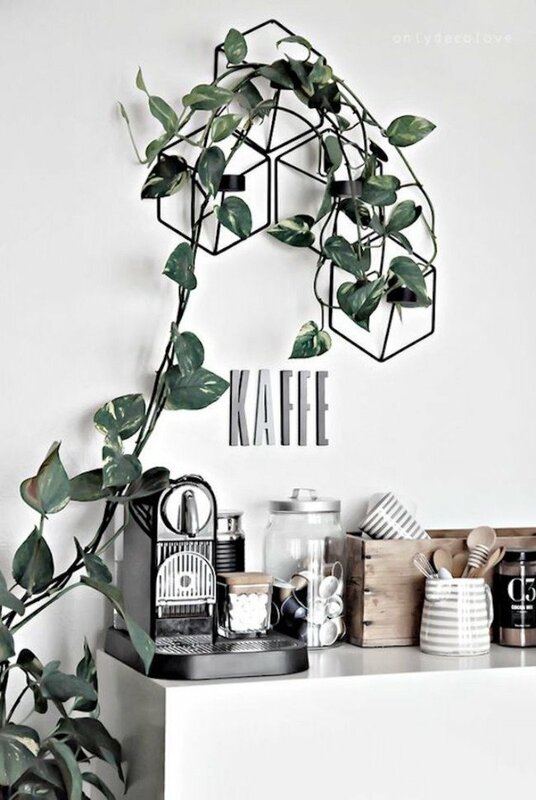 Place all the necessary items neatly and don’t forget to add some greenery in your coffee station. It is your choice to use real or artificial plants. Either way you can enjoy your morning coffee and feel fresh. 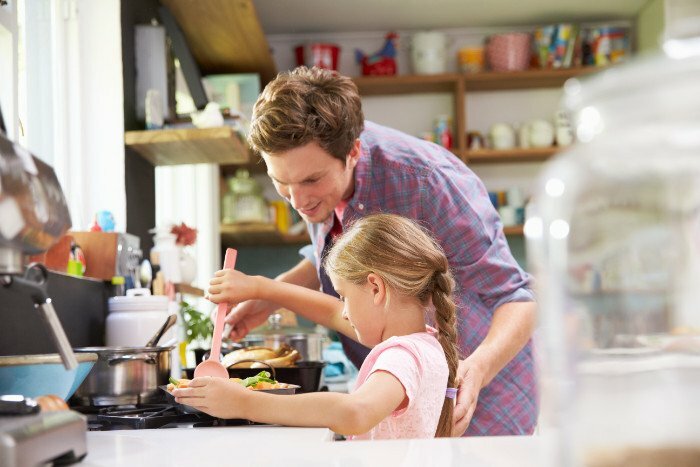 There is always a desk or a counter that is not being used by us in our homes. You might want to utilise that desktop efficiently. A beautiful coffee station can be made out of it, without any greater amount of effort. Keep all the accessories on it at one corner. 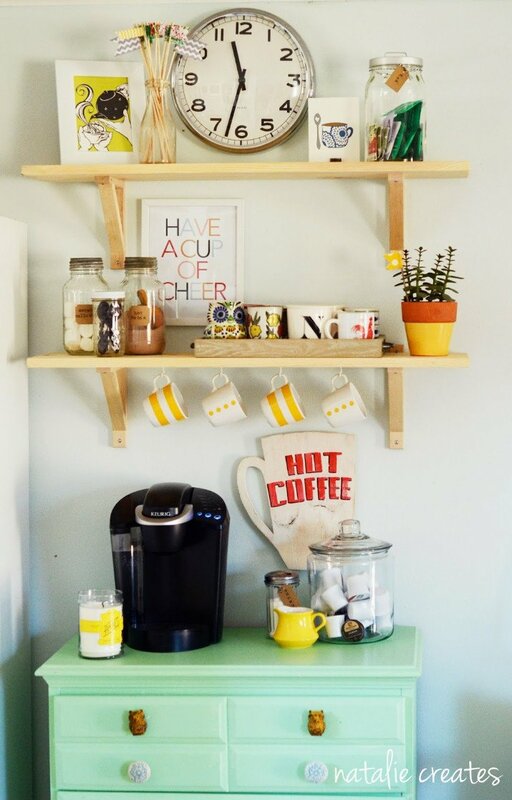 For mugs, you can use shelves or mug racks. You can always modify it according to your choice. 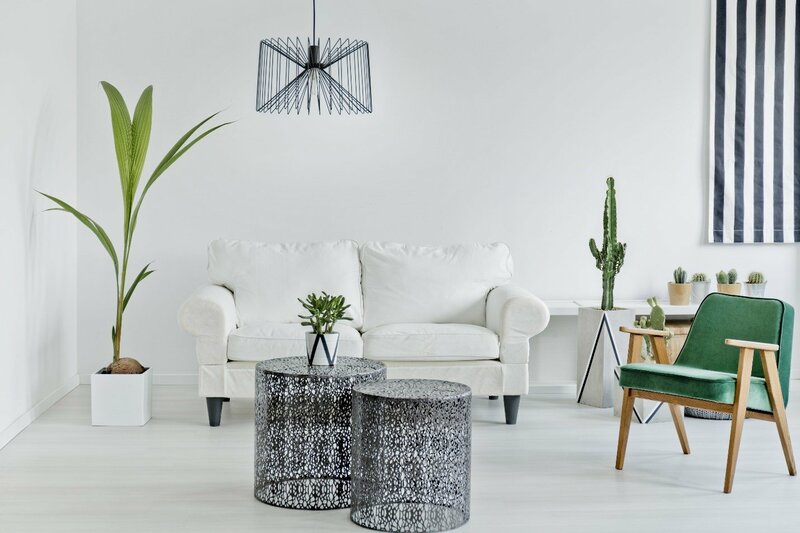 The combination of black and white has always been in fashion especially in furniture. Any coffee table in black and white colours can be used in your living room to make a home coffee bar. Colette Coffee Table With 4 Drawers is the most preferred one. Because it has 4 drawers which can help you in storing coffee crockery. 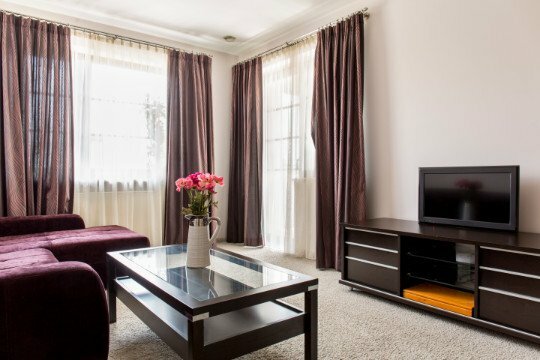 You can find a suitable corner in your living room and set it up with all the necessary coffee stuff including coffee machine. 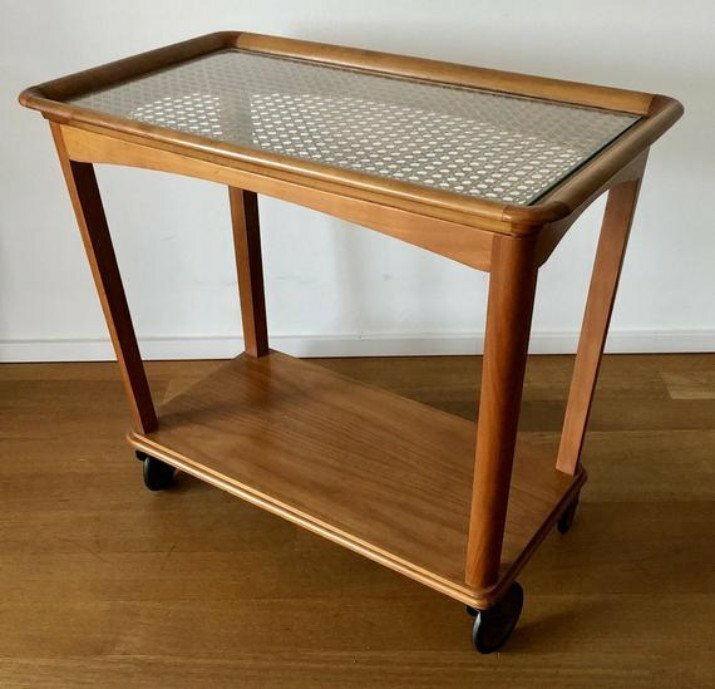 Let’s re-use your granny’s old serving trolley by turning it into a vintage style coffee bar. The biggest use of this trolley is that you can shift your coffee station anywhere you want. You can keep it in your living room, bedroom or even in kitchen. It has ample amount of space to keep all things stored. If you cannot think of anything else, then try this idea. 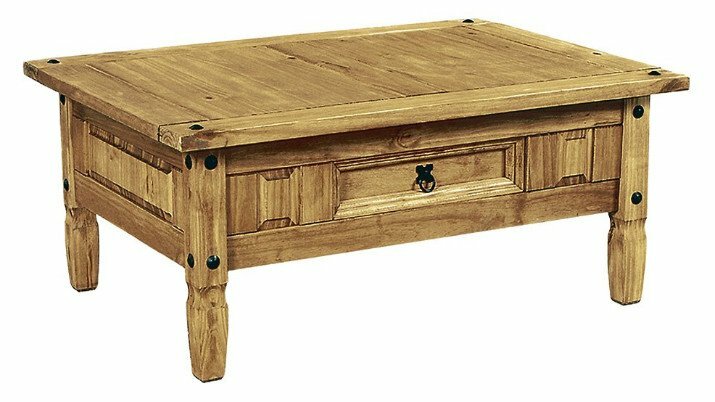 You can get top quality coffee tables online for your coffee station ideas from Furniture Villa. 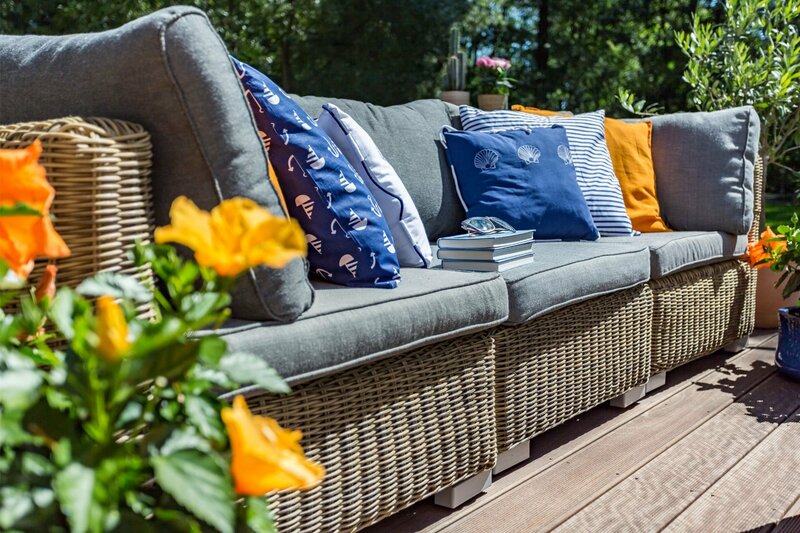 It is the top ranked furniture seller in UK that sells durable furniture. 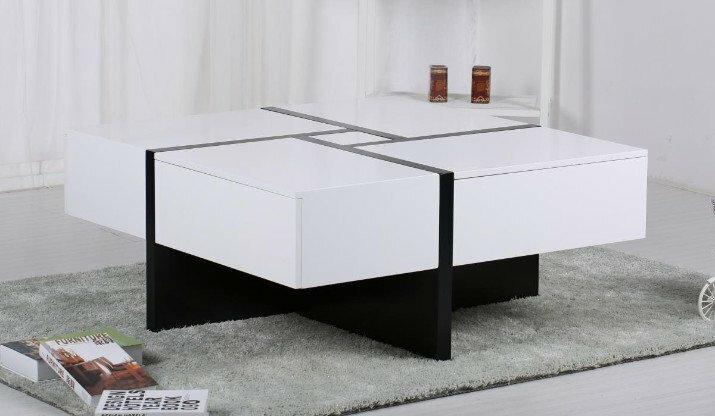 Moreover, they have variety of styles and designs in coffee table range. You will find everything that matches your requirements. 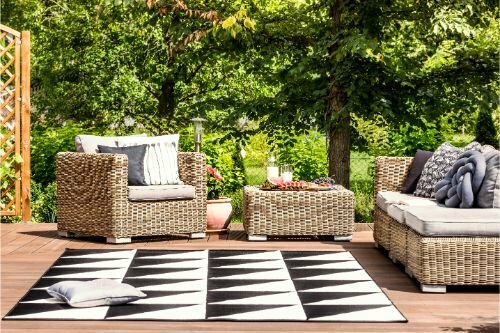 Therefore, choose smartly while looking for furniture online.